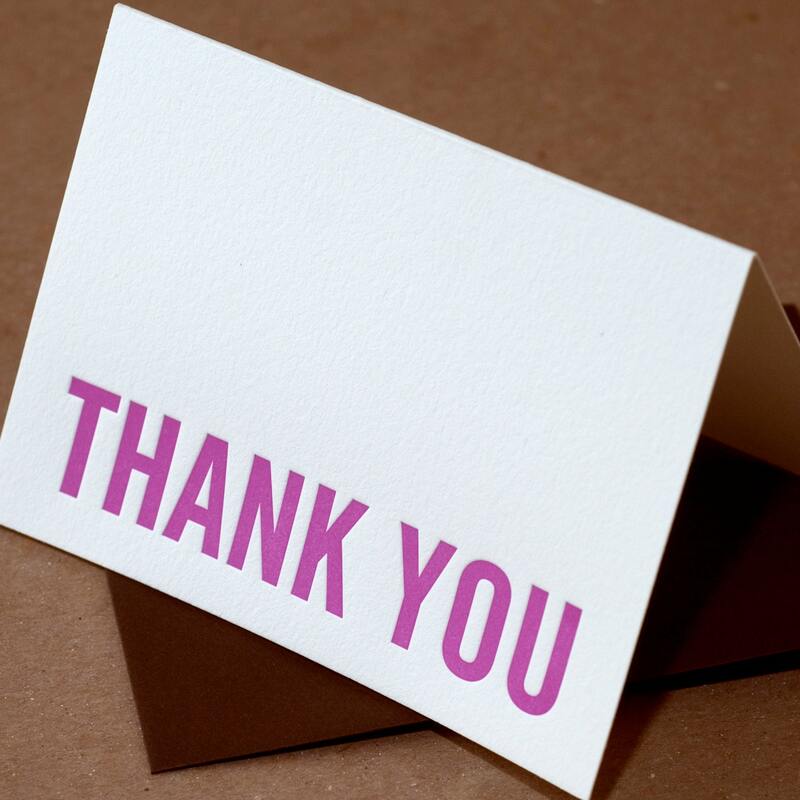 never underestimate the power of a thank you note. you can make someone's day with one of these. 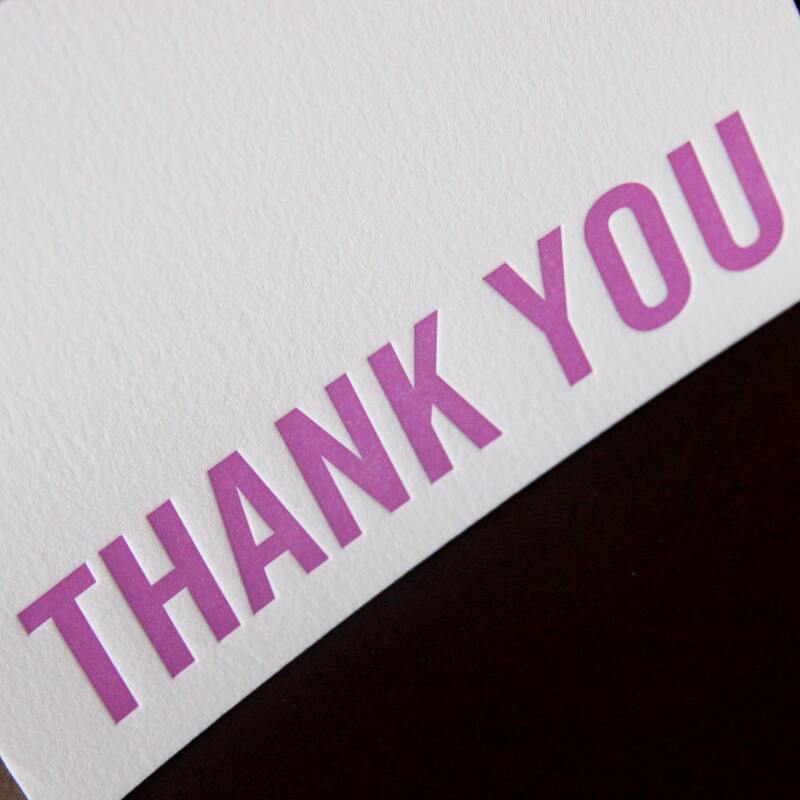 this simple, modern card is perfect for business correspondence, weddings, baby showers, and personal or family note writing. 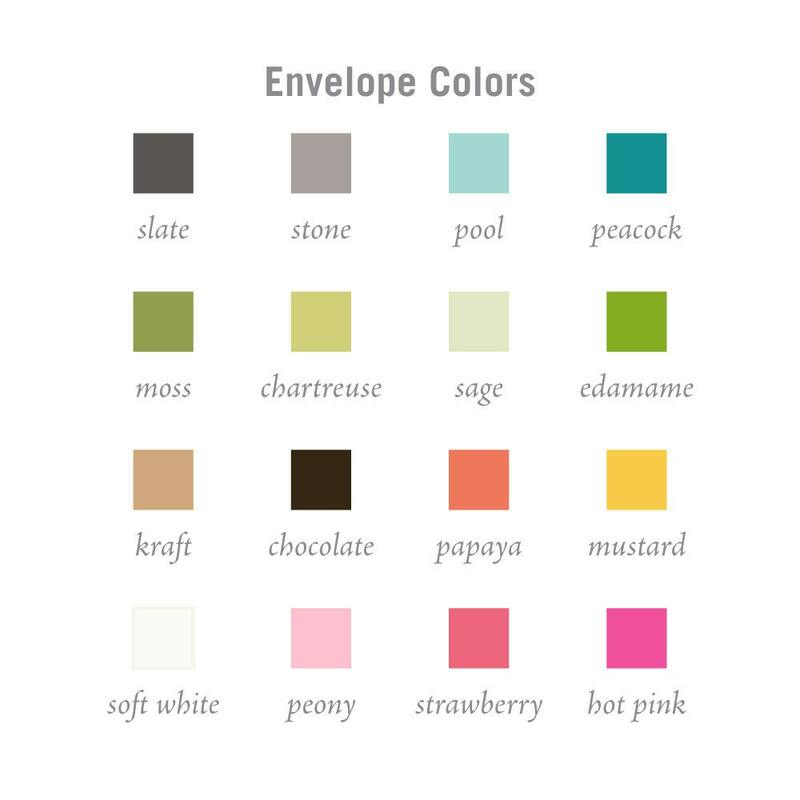 choose your own envelope color to go with your occasion, favorite color combination, or brand identity. letterpress printed in fuchsia soy-based ink on crane’s 100% cotton lettra paper. 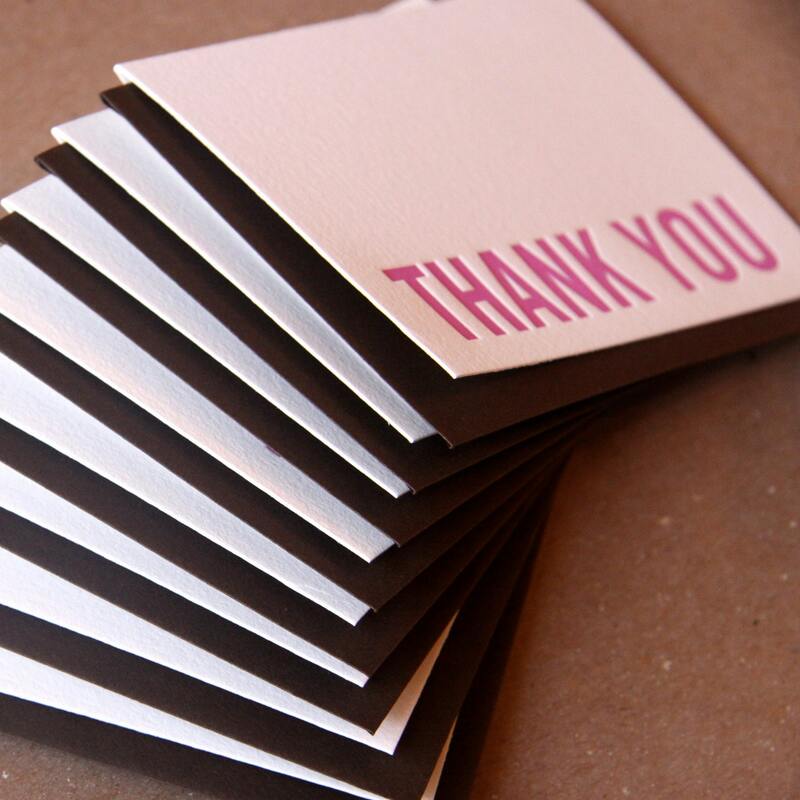 small folded cards with your choice of colored envelope.